And one quick video to show you how to password protect a Google Form. A collection of questions on specific topics. Created by teachers, students, business-people and social users, they are asked in real-time, to an unlimited number of “players”, creating a social, fun and game-like learning environment. 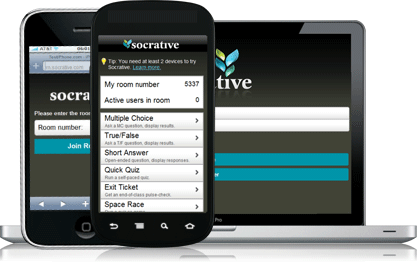 Allows teachers to create simple quizzes that students can take quickly on laptops – or, more often, via classroom tablet computers or their own smartphones. This is a great tool because it offers data that the teacher can download for each child, class or each quiz/survey that you give. Free Google slides templates. Every template has 25 different slides to use in your presentation. Nimbus - Capture Web page and edit screenshots. Record screencasts - record video from your screen. Awesome Screenshot - Screen capture for all or part of any web page. Add annotations, comments, blur sensitive info, and share with one-click uploads. Snagit - screen recording and screen capture tool that helps you provide better feedback, encourage teamwork, and create images that explain exactly what you mean. See which messages have been read, how long ago, how many times and which device they were opened on.